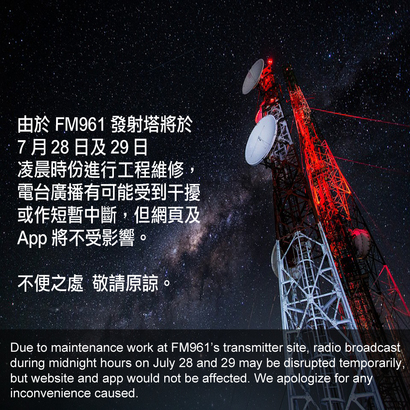 Due to maintenance work at FM961's transmitter site, radio broadcast from 12am to 4am on July 28 and 29 may be disrupted temporarily, but website and app would not be affect. 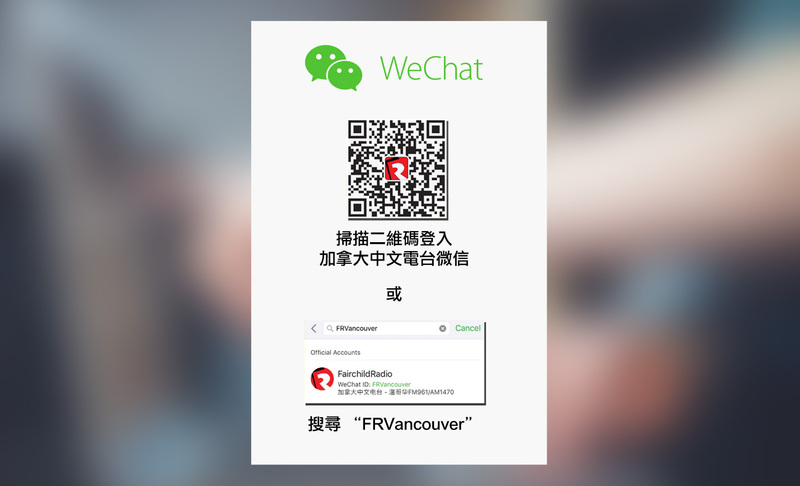 If you have difficulty listening to FM961 on radio, please listen to the live broadcast on this website or via Fairchild Radio app. We apologize for any inconvenience caused.